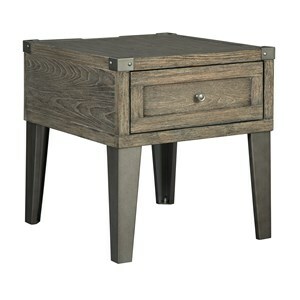 Create a living space that is the on-trend industrial aesthetic with this end table. 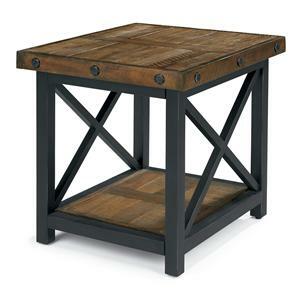 Featuring mixed material composition, the metal wood and glass give this table its character. The middle shelf is wide rimmed, which is great for storing items that will stay in place. 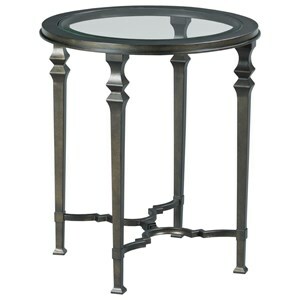 The Copeland Industrial Square End Table with Glass Top by VFM Signature at Virginia Furniture Market in the Rocky Mount, Roanoke, Lynchburg, Christiansburg, Blacksburg, Virginia area. Product availability may vary. Contact us for the most current availability on this product. 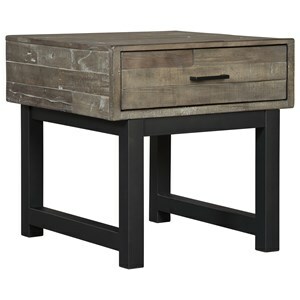 Browse other items in the Copeland collection from Virginia Furniture Market in the Rocky Mount, Roanoke, Lynchburg, Christiansburg, Blacksburg, Virginia area.